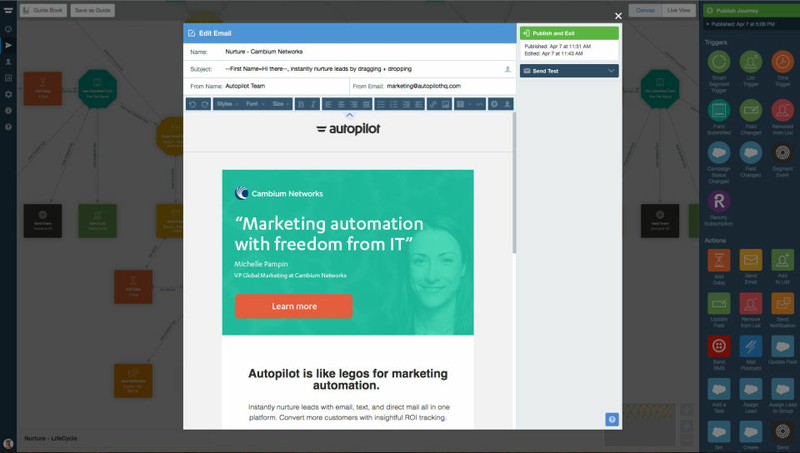 Autopilot offers a set of tools and features that help you to automate your marketing programme. 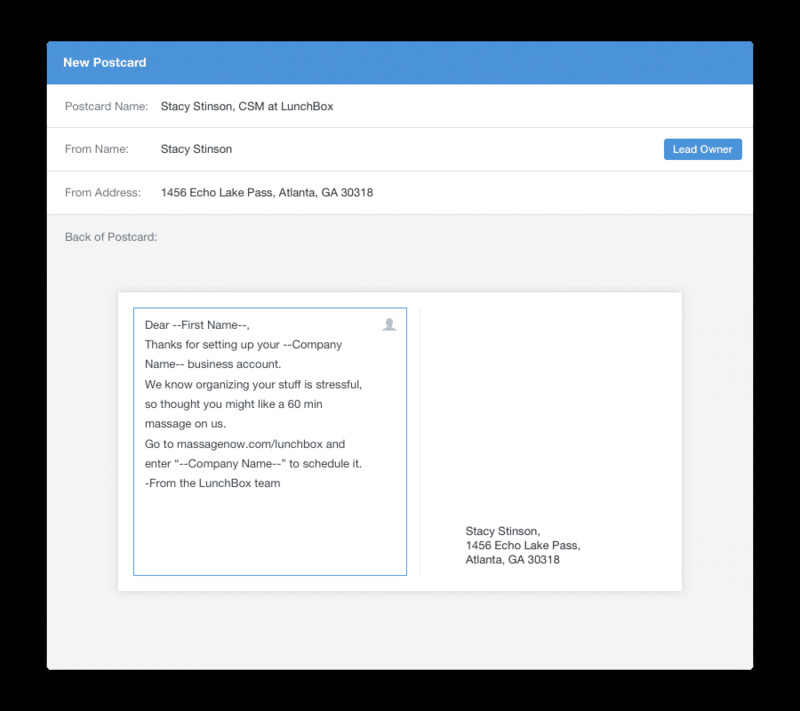 It lets you send emails, SMS, in-app messages and postcards to your leads and customers. 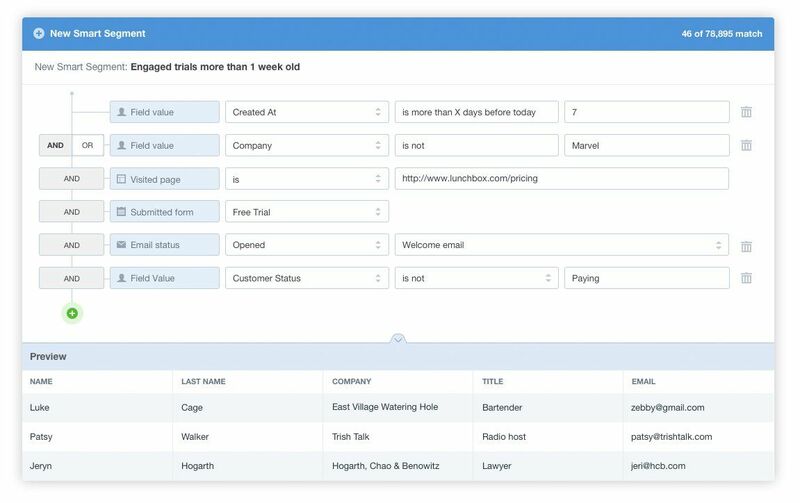 WIth Autopilot, create your very own marketing automation journeys from following up with new leads to requesting customer feedback. It also gives you a detailed insight into the messages which are converting more leads and allows you to review your plan of action from time to time. 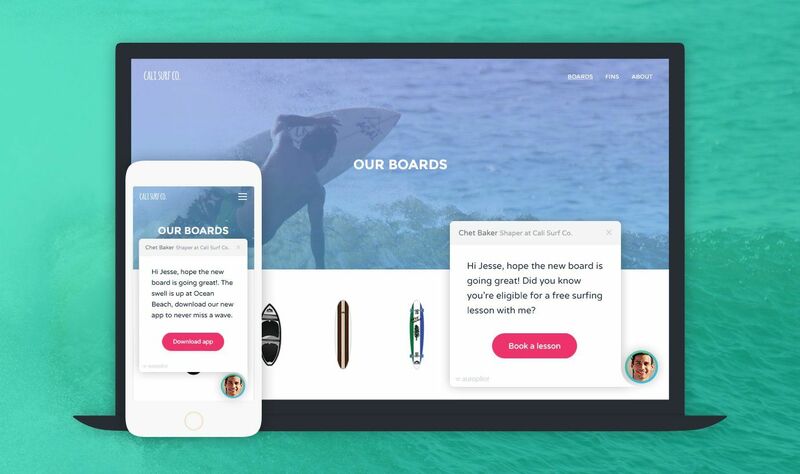 Conduct A/B testing and choose the best marketing journey for your team based on the results. You can integrate Autopilot with more than 800 tools including Salesforce, Slack and its own API. How much does Autopilot cost ? The pricing for Autopilot starts at $1.0 per month. Autopilot has 3 different plans such as - Silver at $1.0 per month, Gold at $79.2 per month and Platinum at $899.0 per month. Access to help and support when you need it. Based upon the Number of Contacts, the pricing plan varies. Contact the vendor to get the detailed pricing information. 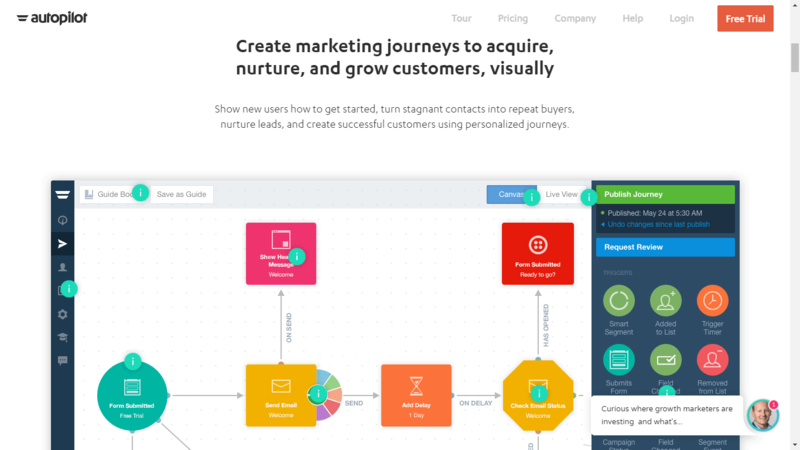 "Turnkey Marketing Automation Software for Startup"
I've used a variety of marketing automation tools in the past (Hubspot, Mailchimp, Active Campaign). Autopilot is by far the most intuitive and enjoyable to use! We have automated all of our marketing strategies for our startup. We've already heard from users that it seems as if we have a team of 10 developers, whereas we actually have none! Pros: Autopilot is easy to use. It is directly linked to a specific purpose of client engagement with no bells and whistles that can tend to distract rather than enhance. Cons: Would be nice to be able to connect to other apps. Overall: Autopilot helped me target a specific problem of client engagement within my company - the lack of personalization. This was an easy thing to add into our existing marketing capabilities to add that extra oomph. "Autopilot - Very intuitive and visual!" What I like the most about it it how visual it is. I myself am a very visual person and even though I deal with automation, I simply enjoy how journeys are created, developed. Besides it's visual part, the support they provide, so far has been perfect!They are always available on chat and they are always fast to respond! Not because they have nothing to do, but because Autopilot is amazing out of the box! I dislike that you cannot access your emails without going through a journey, there should be a shortcut on the left pane. But, what I dislike the most is that you are not able to easily set a delay between two emails sent to a single domain. Imagine wanting to send a newsletter, and you have a hundred people from a single company subscribed. Wow it is impossible to have them all delivered, right? ;) Autopilot, please introduce this feature. Thank you! Regardless of your previous automation solutions, Autopilot's approach is quite unique, very visual and easy to use. There is room for improvement, but they are definitely on the right track! I am yet to test how responsive are they when new features are being requested, but I'm hoping for the best! Keep up the good work, guys! What we are achieving with Autopilot is the saved amount of time! We no longer spend days and hours on just sending emails, one by one. 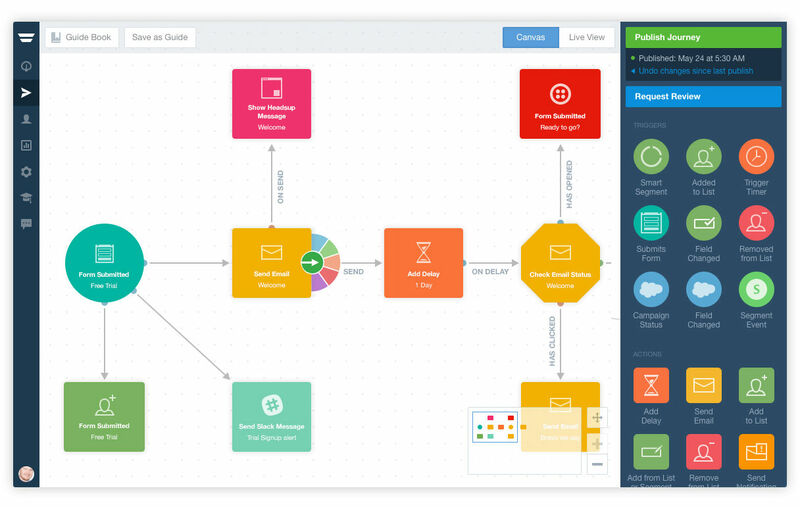 Autopilot is so much simpler than other marketing automation systems. It's very easy to create, review and keep track of the automated journeys you have going. Unlike other systems, the journeys you create are drag and drop, and it's very easy to see the different branches of a journey at a glance. Having 24 support available via Livechat has also been incredibly helpful - it's easy to ask quick questions, or get advice and support on trickier issues. The support team has helped us set up some foundational journeys to flag issues and opportunities and implement business rules around send frequency. As with platforms, there are limitations. The biggest limitation for us in Autopilot is the fact that they use email address as unique identifier, rather than a unique username. This has made it impossible for us to sync with our CRM, has resulted in duplicates for contacts who use one email address (there's also no merge function) and also rules out SMS communication unless we have email as well as phone number. Think about what you actually need - there are many platforms with more bells and whistles, but they are also much more complex! 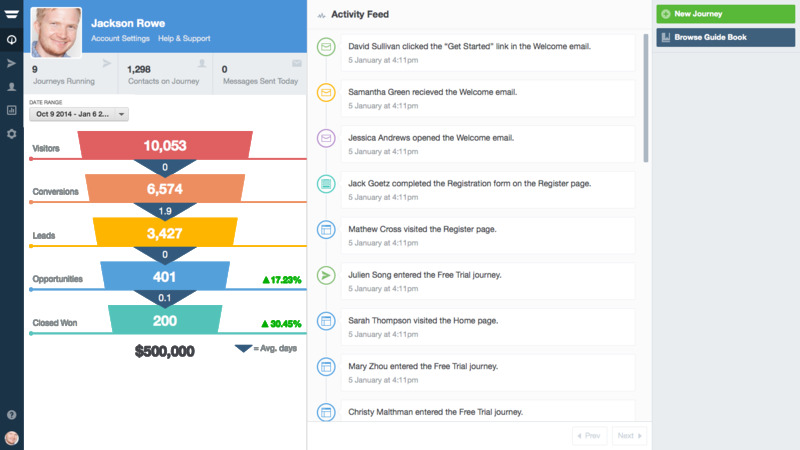 Autopilot has helped us role out - and test - action triggered emails. To reach people when they are most likely to open, read and act on our emails, like right after they have subscribed, or taken an action on our website. The open and click rates for these emails are almost double that of our broadcast emails, even when the content is similar. Pros: Autopilot has transformed our email marketing automation, making it possible for us to do things that simply weren't possible with our previous tools. Cons: It's complex and the learning curve is steep. However, it's worth putting in the time to understand how it works. 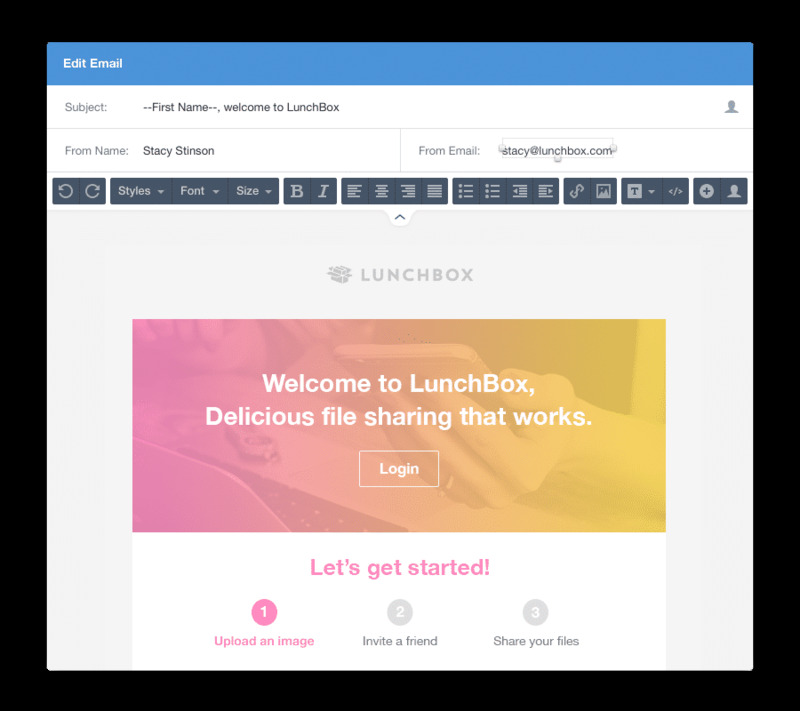 "A must-have tool if you value email and marketing automation." Highly knowledgeable, and always helpful and been available to help me with every kind of question and scenario, both during and outside of my businesses hours. Journeys are really intuitive to design with the drag and drop editor. I also love the annotations and feel this could be a separate tool for business who wish to map out and visualise any sort of journey. 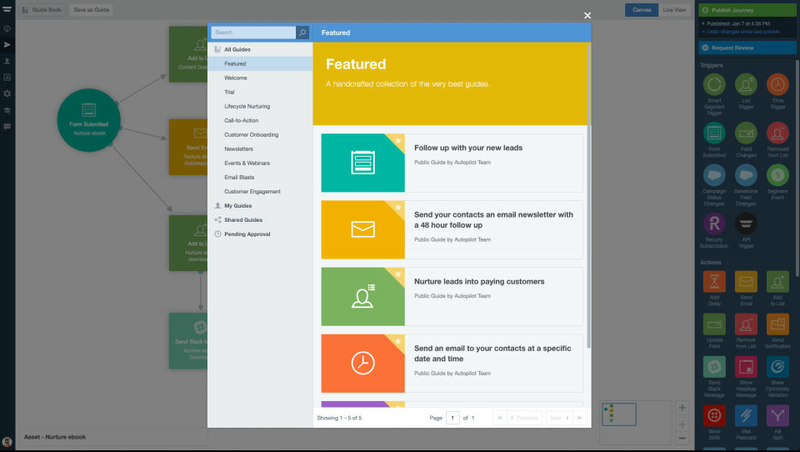 Building campaigns are simple with the email marketing editor. I am yet to look at facebook and google ads audiences, etc. and or to really get to grips with the segment tool. The number of native integrations available great, and by using you can use Zapier and API - we are looking to integrate with our CRM Hubspot. 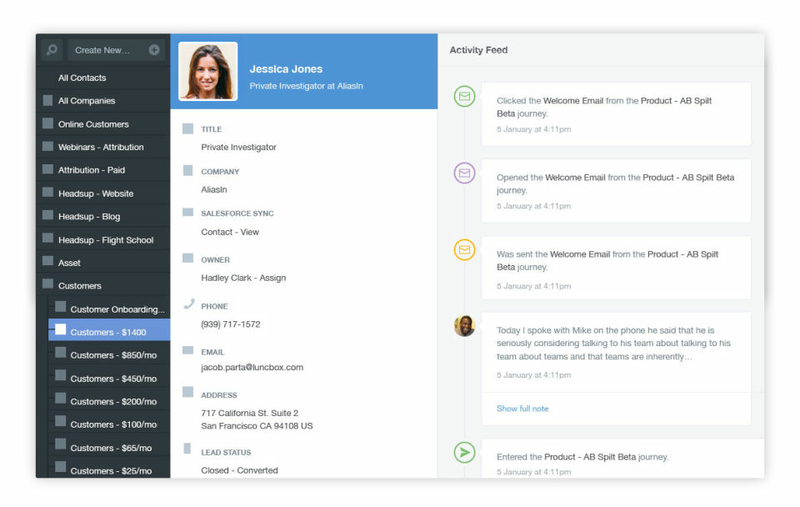 However, we have been waiting for their native integration with Hubspot (currently on the roadmap), with some of the most popular CRM's, including Salesforce and Pipedrive already being available. This is a popular CRM, and the need to use Zapier is a bit bulky. The ability to send single campaigns to data lists, without the need to create an essential journey. 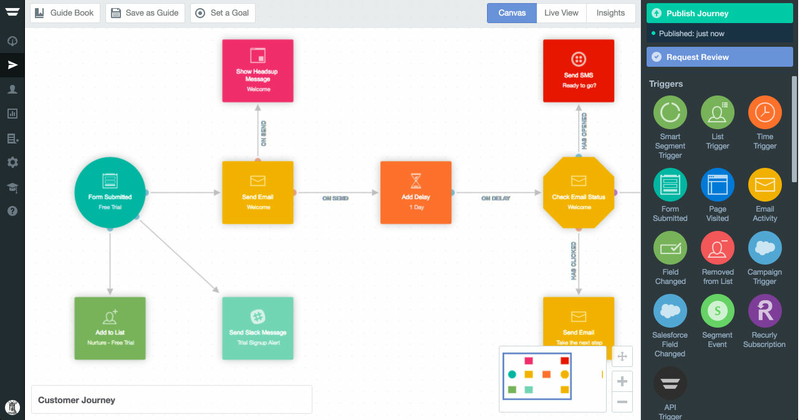 A tool that is similar to something like real-time board or any workflow editor, so that we can use the tool across teams without the marketing automation element. It's easy to get going and extremely cost-effective. A no brainer for any marketer. 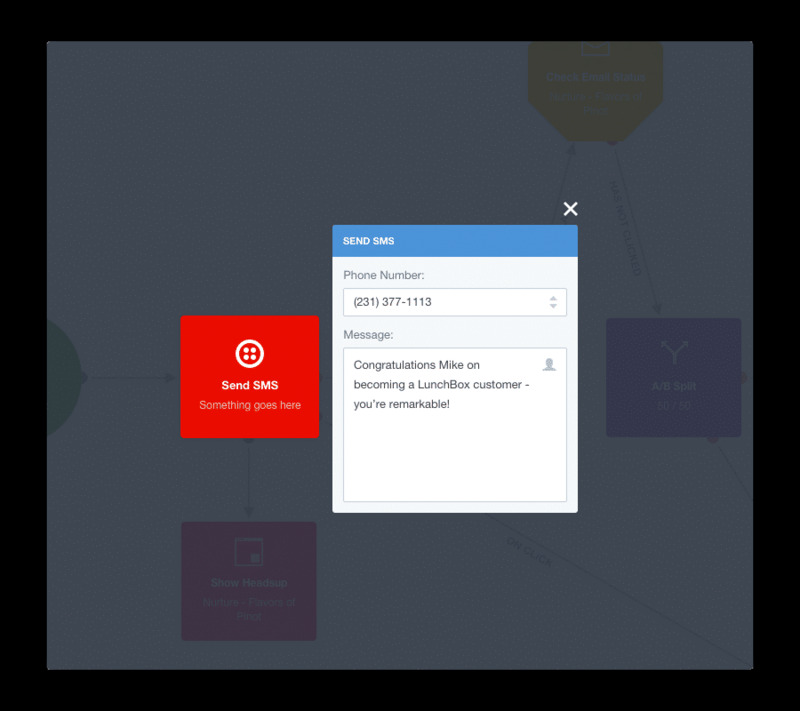 "Great tool with excellent support"
It's so easy to set up a customer journey visually and see exactly what I'm doing, and then test it. I haven't had the chance yet to explore all the various features but sure it'll do far more than I need. Also the live chat has been a godsend when I've been working on it in the middle of the night and I can't get something to work, they've held my hand and taken me through everything step by step. The pricing is great for me too as I'm building up my database and currently don't have that many contacts or visitors. I'm used to Mailchimp so perhaps I'd like the newsletter aspect made more prominent with stronger visual design. Take the free trial and play with it. I've recently started my full time private practice and wanted to build a contact database so that I can offer cheaper alternatives to people in distress who can't afford my 121 therapy. So I'm capturing contact details and sending out regular news, updates, research and my offerings which include online groups, psychology education sessions, book reviews etc. "Autopilot Newbie - Very satisfied!" The journey canvas is brilliant! It actually inspires the entire team to get involved throughout the process by offering a user-friendly space for fun, creativity and productivity. I love that you we can add notes and ideas right on the canvas and we can all be part of the journey as it unfolds. The hours of the free tutorial session are slightly inconvenient, they only take place in late hours of the night in my neck of the woods. That being said, they do send you a recording of the tutorial after, so I was able to catch it that way, I really can't complain! I also wish there was a little more depth in the Salesforce integration. Check out the trial before purchasing as well as the free tutorials that they offer on the website, this helped me a great deal before and after the purchasing. I like that I am a new user (literally just opened Autopilot for the first time a few days ago), and after a few short video tutorials, I was able to create my first journey with success! I was under a tight deadline and with the Live chat window, I was able to get very quick and clear support where I was stuck. I am impressed with the support, tutorials and easy-to-use nature of Autopilot. Tracking our mailers, learning where we need to revamp our online marketing. Learning more about what customers are looking at on our website and how to improve traffic to our site. "One of my favorite tools ever"
Wonderful tool, easy to use, intuitive, great design, so many features and great customer service. Never had any trouble and nothing particular I dislike. 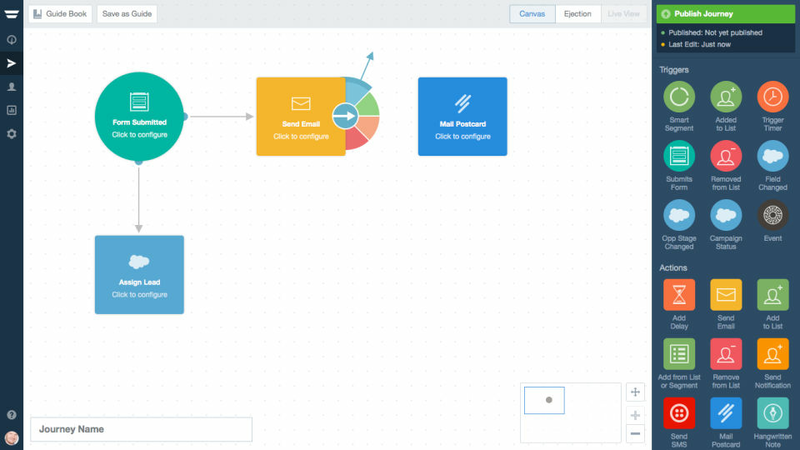 I am automating the sales funnel implementing emails, sms and integrated services. The main benefit is a sales machine that works even when I am sleeping. "Best automation tool I've ever used"
The collaborative ability and visual layout. Simple Salesforce integration. The email design tool could be a bit better. Collaborating with a team in another country. Organizing journeys made a huge difference in site traffic.